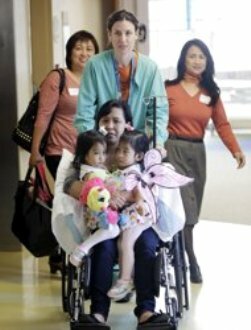 Palo Alto, California (AP) — Twin 2-year-old girls who were joined at the chest and abdomen were separated on November 1, 2011 during a lengthy, complex procedure at Stanford University's children's hospital. The operation that gave Philippines-born sisters Angelina and Angelica Sabuco their independence took more than nine hours and a team of more than 40 people. By mid-afternoon, the girls had moved to their own operating rooms at Lucile Packard Children's Hospital for the second phase of surgery — reconstructing the area where they were connected. Two hours later, they were moved to the intensive care unit, each with a scar stretching from her chest to her belly. "This is a dream come true," their mother, Ginady Sabuco, said through tears to reporters after the surgery was complete. "Words cannot express how the family feels." Dr. Gary Hartman, the lead surgeon, said the procedure went smoothly. "The long-term prognosis is that we should have a happy, healthy set of girls. We don't see any barrier to a full recovery," Hartman said. 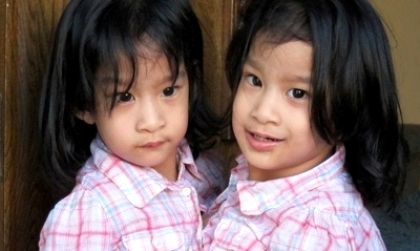 Angelina and Angelica moved to the United States from the Philippines with their mother last year. They live in San Jose with their parents and 10-year-old brother. They had been doing very well considering the obstacles. The girls learned to walk despite their face-to-face orientation and could recite colors and numbers. But Hartman said staying connected would have posed long-term health risks, including increased damage to their skeletal and muscular structure. The surgery required separating livers, diaphragms, breastbones, and chest and abdominal wall muscles. The reconstruction included covering what plastic surgeon Dr. Peter Lorenz described as a "window" left in their chests after separation. Since July, the girls had received weekly injections of sterile saltwater into balloons placed under their skin. The procedure stretched their skin and grew new skin to patch the area. The children were being kept sedated and doctors said they could be awakened as early as Wednesday. They were expected to be in the hospital for at least two weeks. ABC News — Dr. Matias Bruzoni, said "the liver was the toughest part." The girls shared the liver, diaphragms, breast bones and the muscles of the chest and abdominals walls. Doctors said the fact the girls' hearts are separate apart from the tips made the operation safer and easier. Reconstructing the girls' chest and abdominal walls went smoother than expected, and the only physical reminder of their ordeal will be a long scar from the chest to the belly button. They are now being sedated in the pediatric intensive care unit. They will spend the next few days there, and then move to a regular hospital room. After that, they will head home to San Jose, Calif., with their family. 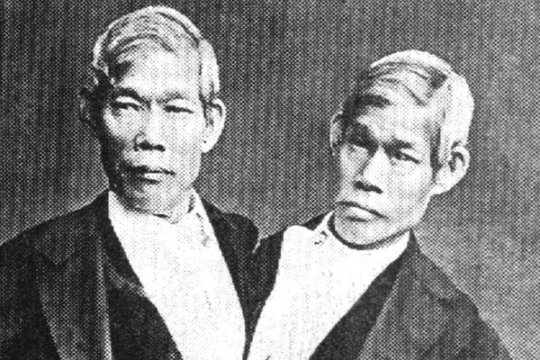 CHANG AND ENG, THE MOST FAMOUS "SIAMESE TWINS"
WHAT HAPPENS WHEN CONJOINED TWINS ARE NOT SEPARATED? 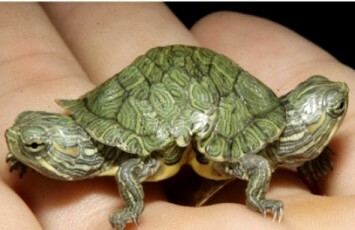 WHAT IS A CONJOINED TWIN? 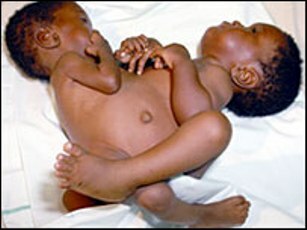 Conjoined twins (also known as Siamese twins) are identical twins whose bodies are joined in utero. 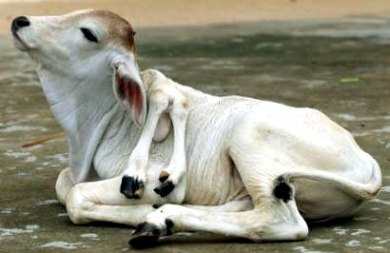 A rare phenomenon, the occurrence is estimated to range from 1 in 50,000 births to 1 in 100,000 births, with a somewhat higher incidence in Southwest Asia and Africa. Approximately half are stillborn, and a smaller fraction of pairs born alive have abnormalities incompatible with life. 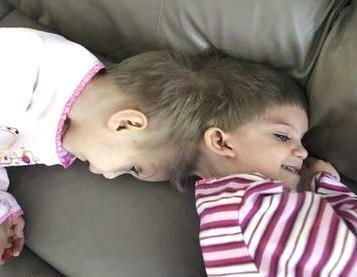 The overall survival rate for conjoined twins is approximately 25%. 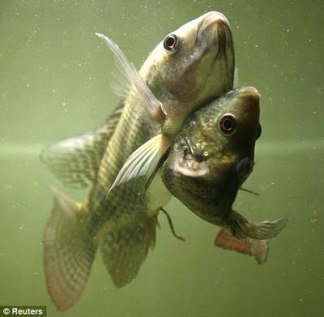 The condition is more frequently found among females, with a ratio of 3:1. 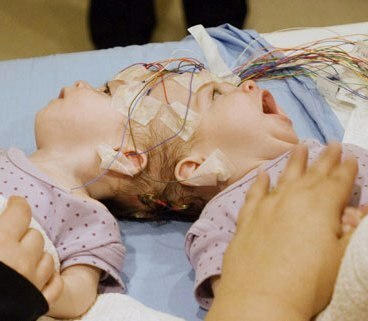 Two contradicting theories exist to explain the origins of conjoined twins. The older theory is fission, in which the fertilized egg splits partially. The second and more generally accepted theory is fusion, in which a fertilized egg completely separates, but stem cells (which search for similar cells) find like-stem cells on the other twin and fuse the twins together. Conjoined twins share a single common chorion, placenta, and amniotic sac, although these characteristics are not exclusive to conjoined twins as there are some monozygotic but non-conjoined twins that also share these structures in utero.